Quebec City (pronounced /kwɪˈbɛk/ ( listen) or /kəˈbɛk/; French: Québec [kebɛk] ( listen); French: Ville de Québec, Western Abnaki: Kephek), officially Québec, is the capital city of the Canadian province of Quebec. The city had a population estimate of 531,902 in July 2016 (an increase of 3.0% from 2011), and the metropolitan area had a population of 800,296 in July 2016 (an increase of 4.3% from 2011), making it the second largest city in Quebec after Montreal, and the seventh largest metropolitan area and eleventh largest city in the country. The Algonquian people had originally named the area Kébec, an Algonquin[note 1] word meaning "where the river narrows", because the Saint Lawrence River narrows proximate to the promontory of Quebec and its Cape Diamant. Explorer Samuel de Champlain founded a French settlement here in 1608, and adopted the Algonquin name. Quebec City is one of the oldest European cities in North America. The ramparts surrounding Old Quebec (Vieux-Québec) are the only fortified city walls remaining in the Americas north of Mexico. This area was declared a World Heritage Site by UNESCO in 1985 as the "Historic District of Old Québec". The city's landmarks include the Château Frontenac hotel that dominates the skyline and the Citadelle of Quebec, an intact fortress that forms the centrepiece of the ramparts surrounding the old city and includes a secondary royal residence. The National Assembly of Quebec (provincial legislature), the Musée national des beaux-arts du Québec (National Museum of Fine Arts of Quebec), and the Musée de la civilisation (Museum of Civilization) are found within or near Vieux-Québec. According to the Government of Canada, the Government of Quebec, and the Geographical Names Board of Canada, the names of Canadian cities and towns have only one official form. Thus, Québec is officially spelled with an accented é in both Canadian English and French. In English, the city and the province are officially distinguished by the fact that the province does not have an accented é and the city does. Informally, however, the accent is usually omitted in common usage, so the unofficial form "Quebec City" is used to distinguish the city from the province. In French, the names of provinces are gendered nouns and the names of cities are not, so the city and the province are already distinguished by the presence or absence of a definite article in front of the name. For example, the concept of "in Quebec" is expressed as "à Québec" for the city and "au Québec" for the province. Quebec City is one of the oldest European settlements in North America and the only fortified city north of Mexico whose walls still exist. While many of the major cities in Latin America date from the 16th century, among cities in Canada and the U.S., few were created earlier than Quebec City (St. John's, Harbour Grace, Port Royal, St. Augustine, Santa Fe, Jamestown, and Tadoussac). It is home to the earliest known French settlement in North America, Fort Charlesbourg-Royal, established in 1541 by explorer Jacques Cartier with some 400 persons but abandoned less than a year later due to the hostility of the natives and the harsh winter. The fort was at the mouth of the Rivière du Cap Rouge, in the suburban former town of Cap-Rouge (which merged into Quebec City in 2002). Quebec was founded by Samuel de Champlain, a French explorer and diplomat, on 3 July 1608, and at the site of a long abandoned St. Lawrence Iroquoian settlement called Stadacona. Champlain, also called "The Father of New France", served as its administrator for the rest of his life. The name "Canada" refers to this settlement. Although the Acadian settlement at Port-Royal was established three years earlier, Quebec came to be known as the cradle of North America's Francophone population. The place seemed favourable to the establishment of a permanent colony. The population of the settlement remained small for decades. In 1629 it was captured by English privateers, led by David Kirke, during the Anglo-French War. Samuel de Champlain argued that the English seizing of the lands was illegal as the war had already ended, and worked to have the lands returned to France. As part of the ongoing negotiations of their exit from the Anglo-French War, in 1632 the English king Charles agreed to return the lands in exchange for Louis XIII paying his wife's dowry. These terms were signed into law with the Treaty of Saint-Germain-en-Laye. The lands in Quebec and Acadia were returned to the French Company of One Hundred Associates. The Battle of Sainte-Foy in 1760. Although victorious in battle, the French could not retake Quebec City. In 1665, there were 550 people in 70 houses living in the city. One-quarter of the people were members of religious orders: secular priests, Jesuits, Ursulines nuns and the order running the local hospital, Hotel-Dieu. Quebec City was the headquarters of many raids against New England during the four French and Indian Wars. In the last war, the French and Indian War (Seven Years' War), Quebec City was captured by the British in 1759 and held until the end of the war in 1763. It was the site of three battles during Seven Years' War: the Battle of Beauport, a French victory (31 July 1759); the Battle of the Plains of Abraham, in which British troops under General James Wolfe defeated the French General Louis-Joseph de Montcalm on 13 September 1759 and shortly thereafter took the city; and the final Battle of Sainte-Foy, a French victory (28 April 1760). France ceded New France, including the city, to Britain in 1763. At the end of French rule in 1763, forests, villages, fields and pastures surrounded the town of 8,000 inhabitants. The town distinguished itself by its monumental architecture, fortifications, and affluent homes of masonry and shacks in the suburbs of Saint-Jean and Saint-Roch. Despite its urbanity and its status as capital, Quebec City remained a small colonial city with close ties to its rural surroundings. Nearby inhabitants traded their farm surpluses and firewood for imported goods from France at the two city markets. 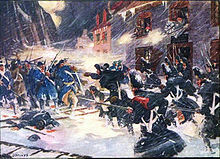 During the American Revolution, revolutionary troops from the southern colonies assaulted the British garrison in an attempt to 'liberate' Quebec City, in a conflict now known as the Battle of Quebec. The defeat of the revolutionaries from the south put an end to the hopes that the peoples of Quebec would rise and join the American Revolution so that Canada would join the Continental Congress and become part of the original United States of America along with the other British colonies of continental North America. In effect, the battle's outcome was the split of British North America into two distinct political entities. The city itself was not attacked during the War of 1812, when the United States again attempted to annex Canadian lands. Amid fears of another American attack on Quebec City, construction of the Citadelle of Quebec began in 1820. The Americans did not attack Canada after the War of 1812, but the Citadelle continued to house a large British garrison until 1871. It is still in use by the military and is also a tourist attraction. Until the late 18th century Québec was the most populous city in present-day Canada. As of the census of 1790, Montreal surpassed it with 18,000 inhabitants, but Quebec (pop. 14,000) remained the administrative capital of New France. It was then made the capital of Lower Canada by the Constitutional Act of 1791. From the 1841 to 1867, the capital of the Province of Canada rotated between Kingston, Montreal, Toronto, Ottawa and Quebec City (from 1852 to 1856 and from 1859 to 1866). Before the Royal Military College of Canada was established in 1876, the only french-speaking officer training school was the Quebec City School of Military Instruction, founded in 1864. The school was retained at Confederation, in 1867. In 1868, The School of Artillery was formed in Montreal. The Quebec Conference on Canadian Confederation was held in the city in 1864. 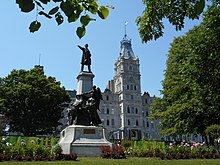 In 1867, Queen Victoria chose Ottawa as the definite capital of the Dominion of Canada, while Quebec City was confirmed as the capital of the newly created province of Quebec. During World War II, two conferences were held in Quebec City. The First Quebec Conference was held in 1943 with Franklin D. Roosevelt (the United States president), Winston Churchill (the United Kingdom's prime minister), William Lyon Mackenzie King (Canada's prime minister) and T. V. Soong (China's minister of foreign affairs). 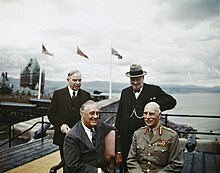 The Second Quebec Conference was held in 1944, and was attended by Churchill and Roosevelt. They took place in the buildings of the Citadelle and at the nearby Château Frontenac. A large part of the D-Day landing plans were made during those meetings. Until 2002, Quebec was a mostly urbanized city and its territory coterminous with today's borough of La Cité-Limoilou. The Government of Quebec then mandated a municipal reorganization in the province, and many suburbs of the north shore of the Saint-Lawrence were merged into Quebec City, taking the form of boroughs. In 2008 the city celebrated its 400th anniversary and was gifted funds for festivities and construction projects by provincial and federal governments, as well as public artwork by various entities, including foreign countries. Quebec City was built on the north bank of the Saint Lawrence River, where it narrows and meets the mouth of the Saint-Charles River. Old Quebec is located on top and at the foot of Cap-Diamant, which is on the eastern edge of a plateau called the promontory of Quebec (Quebec hill). 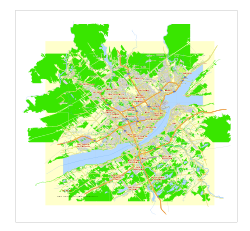 Because of this topographic feature, the oldest and most urbanized borough of La Cité-Limoilou can be divided into upper and lower town. North of the hill, the Saint Lawrence Lowlands is flat and has rich, arable soil. Past this valley, the Laurentian Mountains lies to the north of the city but its foothills are within the municipal limits. The Plains of Abraham are located on the southeastern extremity of the plateau, where high stone walls were integrated during colonial days. On the northern foot of the promontory, the lower town neighborhoods of Saint-Roch and Saint-Sauveur (fr), traditionally working class, are separated from uptown's Saint-Jean-Baptiste and Saint-Sacrement (fr) by a woody area attested as Coteau Sainte-Geneviève [fr]. The area was affected by the 1925 Charlevoix–Kamouraska earthquake. The administrative region in which it is situated is officially referred to as Capitale-Nationale, and the term "national capital" is used to refer to Quebec City itself at the provincial level. The climate of Quebec City is classified as humid continental (Köppen climate classification Dfb). Quebec City experiences four distinct seasons. Summers are warm and occasionally hot, with periods of hotter temperatures which compounded with the high humidity, create a high heat index that belie the average high of 22–25 °C (72–77 °F) and lows of 11–13 °C (52–55 °F). Winters are often cold, windy and snowy with average high temperatures −5 to −8 °C (23 to 18 °F) and lows −13 to −18 °C (9 to 0 °F). Spring and fall, although short, bring chilly to warm temperatures. Late heat waves as well as "Indian summers" are a common occurrence. On average, Quebec City receives 1,190 millimetres (46.85 in) of precipitation, of which 899 millimetres (35.39 in) is rain and 303 millimetres (11.93 in) is the melt from 316 centimetres (124.4 in) of snowfall per annum. [note 2] The city experiences around 1,916 hours of bright sunshine annually or 41.5% of possible sunshine, with summer being the sunniest, but also slightly the wettest season. During winter, snow generally stays on the ground from the end of November till mid-April. The highest temperature ever recorded in Quebec City was 36.1 °C (97 °F) on 17 July 1953. The coldest temperature ever recorded was −36.7 °C (−34 °F) on 10 January 1890 and 14 January 2015. The St. Jean (St. John) Gate. Much of the city's notable traditional architecture is located in Vieux-Québec (Old Quebec), within and below the fortifications. This area has a distinct European feel with its stone buildings and winding streets lined with shops and restaurants. Porte St-Louis and Porte St-Jean are the main gates through the walls from the modern section of downtown; the Kent Gate was a gift to the province from Queen Victoria and the foundation stone was laid by the Queen's daughter, Princess Louise, Marchioness of Lorne, on 11 June 1879. West of the walls are the Parliament Hill area, and to the south the Plains of Abraham. Terrasse Dufferin and Château Frontenac, upper town. Along with concrete high-rises such as Édifice Marie-Guyart and Le Concorde on parliament hill (see List of tallest buildings in Quebec City), the city's skyline is dominated by the massive Château Frontenac Hotel, perched on top of Cap-Diamant. It was designed by architect Bruce Price, as one of a series of "château" style hotels built for the Canadian Pacific Railway company. The railway company sought to encourage luxury tourism and bring wealthy travellers to its trains. Alongside the Château Frontenac is the Terrasse Dufferin, a walkway along the edge of the cliff, offering views of the Saint Lawrence River. The terrace leads toward the nearby Plains of Abraham, site of the battle in which the British took Quebec from France, and the Citadelle of Quebec, a Canadian Forces installation and the federal vice-regal secondary residence. The Parliament Building, the meeting place of the Parliament of Quebec, is also near the Citadelle. Near the Château Frontenac is Notre-Dame de Québec Cathedral, mother church of the Roman Catholic Archdiocese of Quebec. It is the first church in the New World to be raised to a basilica and is the primatial church of Canada. There are 37 National Historic Sites of Canada in Quebec City and its enclaves. The Battlefields Park is a urban park that lies on the location of the Battle of the Plains of Abraham. One of the most notable is The Battlefields Park, which is home to 50 historical artillery pieces and the Plains of Abraham. The park offers views of the St. Lawrence River and has multiple historical structures and statues like the Joan of Arc on Horseback and a couple of Martello Towers. Historically this was the site of an American revolutionary battle, the Battle of Quebec (1775) where the British were able to hold onto its last stronghold in the Northern extent of its North American territory. Other large and centrally located parks are Parc Victoria, Parc Maizerets and Cartier-Brébeuf National Historic Site. Quebec City's largest park is the Parc Chauveau (fr), which is crossed by the suburban section of the city-wide Saint-Charles River and is thus also part of the 31 kilometres (19 mi) long Saint-Charles River's linear park. At Chauveau, activities such as canoeing, fishing and cross-country skiing are offered depending on the season, in addition to an interior soccer stadium. Among others, there is also the beach of Beauport Bay, as well as the Marais du Nord (north-end marsh land). The linear park named Promenade Samuel-De Champlain (fr) that stretches 4.6 kilometres (2.9 mi) alongside the Saint Lawrence River, from Pierre Laporte Bridge to Sillery's east-end. Its bicycle and pedestrian paths then continues all the way to Old Quebec and then along the Saint-Charles River. Just like the beach at Beauport Bay, the construction of the Promenade was funded by provincial and federal governments to celebrate the 400th anniversary of Quebec City in 2008. Parc du Bois-de-Coulonge (fr), slightly west of the Plains of Abraham in Sillery, and known for its natural landscaping as well as traditional gardens, such as those surrounding the historical Villa Bagatelle (fr). The historical significance of the park also lies in the former presence of the viceregal Government House of Quebec (1845-1966). The Domaine de Maizerets, where are found an arboretum and an observation tower, not far from the Saint Lawrence River and Beauport Bay. Domaine Cataraqui (fr) in Sillery. The Roger-Van den Hende Botanical Garden (fr) of Laval University. Map of the six boroughs that make up Quebec City. On 1 January 2002, the 12 former towns of Sainte-Foy, Beauport, Charlesbourg, Sillery, Loretteville, Val-Bélair, Cap-Rouge, Saint-Émile, Vanier, L'Ancienne-Lorette, Saint-Augustin-de-Desmaures and Lac-Saint-Charles were annexed by Quebec City. This was one of several municipal mergers which took place across Quebec on that date. Following a demerger referendum, L'Ancienne-Lorette and Saint-Augustin-de-Desmaures were reconstituted as separate municipalities on 1 January 2006, but the other former municipalities remain part of Quebec City. On 1 November 2009, the Quebec City re-organized its boroughs, reducing the number from 8 to 6. As of 2011[update] Quebec City comprises six boroughs (arrondissements) which are further divided into 35 neighbourhoods (quartiers). In most cases the name of the latter is similar to a historical village or parish it replaced, but not always. Neighbourhoods each elect their own council, whose powers rests in public consultations. Compared to many other cities in North America, there is less variation between average household incomes between the neighbourhoods. However, some disparities exist. The southwest former cities of Sillery, Cap-Rouge and Sainte-Foy are considered to be the wealthiest, along with some parts of Montcalm and Old Quebec. The city's traditional working-class areas are found in the lower town below Old Quebec (Saint-Sauveur and Saint-Roch) and directly across the Saint-Charles River to the north (Vanier and Limoilou). However, parts of Limoilou, Saint-Sauveur and particularly Saint-Roch have seen gentrification in the last 20 years, attracting young professionals and the construction of new offices and condos. Northern sections (Loretteville, Val-Bélair) and eastern sections (Beauport, Charlesbourg) are mostly a mix of middle-class residential suburbs with industrial pockets. According to Statistics Canada, there were 531,902 people residing in Quebec City proper in 2016, and 800,296 people in the metropolitan area. Of the former total, 48.2% were male and 51.8% were female. Children under five accounted for approximately 4.7% of the resident population of Quebec City. This compares with 5.2% in the province of Quebec, and 5.6% for Canada overall. The great majority of city residents are native French speakers. The English-speaking community peaked in relative terms during the 1860s, when 40% of Quebec City's residents were Anglophone. Today, Anglophones make up only 1.5% of the population of both the city and its metropolitan area. 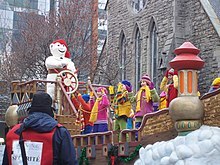 However, the annual Quebec Winter Carnival attracts both Francophone and Anglophone tourists alike, so the Anglophone population increases considerably during the duration of the event. According to Statistics Canada, 94.6% of Quebec City's population spoke French as their mother tongue. In addition, more than a third of city residents reported speaking both French and English. In 2001, 13.0% of the resident population in Quebec City was of retirement age (65 and over for males and females) compared with 13.2% in Canada. The average age is 39.5 years of age compared to 37.6 years of age for Canada as a whole. In the five years between 2006 and 2011, the population of Quebec City grew by 6.5%, compared with an increase of 4.9% for the province of Quebec. The population density of Quebec City averaged 228.6 inhabitants per square kilometre (592/sq mi). At the time of the 2001 census, the population of the Quebec City authority was 682,757, but was 710,700 when encompassing the Greater Quebec City Area, compared with a resident population in the province of Quebec of 7,237,479 people. In 2006, visible minorities made up 3% of the city's population, which is the smallest proportion of any major Canadian city. There has, however, been a growing number of new arrivals from North and West Africa, as well as Latin America, who have settled in the city. Recent arrivals tend to be more concentrated in Limoilou, Vanier, Les Saules and the northern part of Sainte-Foy, where the availability of lower cost apartments is higher than the rest of the city. According to the 2001 census, over 90% of the population was Roman Catholic. The city also contains small Protestant, Muslim and Jewish communities. Hôtel-Dieu de Québec, is one of three hospitals operated by CHUQ. CHUQ is the largest employer in Quebec City. Most jobs in Quebec City are concentrated in public administration, defence, services, commerce, transport and tourism. 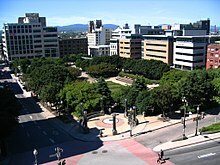 As the provincial capital, the city benefits from being a regional administrative and services centre: apropos, the provincial government is the largest employer in the city, employing 27,900 people as of 2007. CHUQ (the local hospital network) is the city's largest institutional employer, with more than 10,000 employees in 2007. The unemployment rate in June 2018 was 3.8%, below the national average (6.0%) and the second lowest of Canada's 34 largest cities, behind Peterborough (2.7%). Around 10% of jobs are in manufacturing. Principal products include pulp and paper, processed food, metal/wood items, chemicals, electronics and electrical equipment, and printed materials. The city hosts the headquarters of a variety of prominent companies, including: fashion retailer La Maison Simons, engineering firms BPR and Norda Stelo; Cominar real estate investment trust; Industrial Alliance, La Capitale, Promutuel, SSQ Financial Group, and Union Canadienne in the insurance sector; Beenox, Gearbox Software, Frima Studio, Sarbakan and Ubisoft in the computer games industry; AeternaZentaris and DiagnoCure in pharmaceuticals; Amalgame, Cossette and Vision 7 in marketing and advertising; Institut National d'Optique (INO), EXFO, OptoSecurity in technology. It is also the domicile of the sole manufactory of the cigarette maker Rothmans, Benson & Hedges. While the traditional central business districts and their large office buildings are found on Parliament Hill (especially for provincial administration) and just below in Saint-Roch (nowadays notable for IT and the video game industry), a newer one has emerged in the boulevard Laurier (fr) area of Sainte-Foy, where a number of accounting and law firms have moved since the 2000s. Other suburban places identified by the City for their potential are the Lebourgneuf area for private offices, as well as Estimauville Street where the Government of Canada already has many civil servants and where several city officials are expected to move in the 2020s. Quebec City's Winter Festival is the world's largest winter festival. Quebec City is known for its Winter Carnival, its summer music festival and its Saint-Jean-Baptiste Day celebrations. The Jardin zoologique du Québec, now closed, reopened in 2002 after extensive repairs before ultimately shuttering in 2006. It featured 750 specimens of 300 different species of animals. The zoo specialized in winged fauna and garden themes, but also featured several species of mammals. While it emphasized Quebec's indigenous fauna, one of its main attractions was the Indo-Australian greenhouse, featuring fauna and flora from regions surrounding the Indian Ocean. Parc Aquarium du Québec, which reopened in 2002 on a site overlooking the Saint Lawrence River, features more than 10,000 specimens of mammals, reptiles, fish and other aquatic fauna of North America and the Arctic. Polar bears and various species of seals of the Arctic sector and the "Large Ocean", a large basin offering visitors a view from underneath, make up part of the aquarium's main attractions. Québec City has a number of historic sites, art galleries and museums, including Citadelle of Quebec, Musée national des beaux-arts du Québec, Ursulines of Quebec, and Musée de la civilisation. Montmorency Falls is a major waterfall in the city's east end. Other tourist attractions include Montmorency Falls, and, just outside the city limits, the Basilica of Sainte-Anne-de-Beaupré, the Mont-Sainte-Anne ski resort, and the Ice Hotel. Quebec City has hosted a number of recent sporting events, as well as being shortlisted for the 2002 Winter Olympics city selection. The Special Olympics Canada National Winter Games was held in the city from 26 February to 1 March 2008. Quebec City co-hosted with Halifax, Nova Scotia, the 2008 IIHF World Championship. Regular sporting events held in the city include the Coupe Banque Nationale, a Women's Tennis Association tournament; Crashed Ice, an extreme downhill skating race; Quebec City International Pee-Wee Tournament, a minor hockey tournament; and the Tour de Québec International cycling stage race. In December 2011, Quebec City hosted the ISU Grand Prix of Figure Skating Final at the Pavillon de la Jeunesse at ExpoCité. The Québec Capitales play their home game at Stade Canac, a stadium primarily used for baseball. The city currently has two professional teams. The Dynamo de Québec a professional soccer club which competes in the Première ligue de soccer du Québec and the Capitales de Québec, which plays in the Canadian American Association of Professional Baseball in downtown's Canac stadium. The team was established in 1999, and originally played in the Northern League. It has six league titles, won in 2006, 2009, 2010, 2011, 2012 and 2013. A professional basketball team, the Quebec Kebs, played in National Basketball League of Canada in 2011 but folded before the 2012 season. The city had a professional ice hockey team, the Quebec Nordiques, which played in the World Hockey Association (WHA) from 1972 to 1979 and the National Hockey League (NHL) from 1979 to 1995, maintaining a strong rivalry with the Montreal Canadiens. Due to a disadvantageous exchange rate with respect to the US dollar, the team moved to Denver, Colorado, in 1995, becoming the Colorado Avalanche. A lower-tier team, the Quebec Rafales, played in the professional International Hockey League from 1996 to 1998. Videotron Centre is an indoor arena and is presently used as the home arena for the major junior hockey Quebec Remparts. The Videotron Centre was built with the hope of getting an NHL franchise (relocation or expansion) in Quebec City. The project was funded regardless of whether an NHL team arrives. It is also hoped that the arena can help Quebec City win a future Winter Olympics games bid. It has now replaced the Colisée Pepsi as the main multifunctional arena in Quebec City. Other teams include the Quebec Remparts in major junior hockey (QMJHL), Université Laval varsity team Rouge & Or, the Quebec City Monarks, and Quebec City Rebelles of La Ligue de Football de Québec; the Alouettes de Charlesbourg of the Ligue de Baseball Junior Élite du Québec; the women's hockey team Quebec Phoenix of the Canadian Women's Hockey League; and soccer club Quebec Arsenal of the W-League. The provincial Parliament Building is located in the city. Since the 1970s, centre-right parties such as Union Nationale, Crédit social, Conservative Party of Canada (CPC), Action démocratique du Québec and Coalition Avenir Québec (CAQ) have been more popular in the Quebec City region than elsewhere in the province. After the federal election of 2006, six of the ten conservative ridings of the province were found in its metropolitan area (where the CPC garnered 39% of the vote, against 25% at the provincial scale) and in the city proper, the CPC won three of the four seats that existed at that time (the riding of Quebec went to the Bloc). Along with the city's lesser support for Quebec sovereignty, this led political pundits to speculate about a "Quebec City mystery". Various lines of thought were offered, including the popularity of the talk radio stations CHOI and FM93 expressing fiscally conservative and non-politically correct opinions. Over the years, this genre has been qualified by its detractors as radio poubelle (fr) ("trash radio") and hosts like Jeff Fillion and André Arthur likened to shock jocks. Also, compared to the rest of the province, people of the area may favor harsher criminal sentences, and lower-class households may share political views more in line with those earning more. The reasons for this remain unclear. Another researcher put forward the historical factors that led to Montreal surpassing Quebec as the metropolis of British North America in the early 19th century. According to this theory, its permanent status of "second city" (albeit the capital) engendered feelings of "repressed jealousy". The "mystery" was relativized following the 2011 federal election. All five ridings within the city were won by the leftist New Democratic Party, in the so-called "orange wave" that temporarily swept the province. Nonetheless, five of the six seats won by the Conservatives in the province were found in the greater Quebec City area. At the 2018 provincial election, the leftist party Québec solidaire managed to win two districts, Taschereau and Jean-Lesage, the most densely populated in town, but the centre-right CAQ, as it swept the province, won six of the nine districts encompassing the city, and 15 of the 18 in the administratives regions of Capitale-Nationale and Chaudière-Appalaches (south shore of the city). Quebec City Hall serves as the seat for the Quebec City Council. Quebec City is governed by a mayor–council government, which includes the 21 single-member districts of the legislative Quebec City Council and the separately elected mayor. The councilors are elected by first-past-the-post voting while the mayor is elected by the city at-large. Both usually belong to political parties and are elected at the same time every 4 years. The mayor is an ex officio member of the council but is not its president and has no vote. The current one is Régis Labeaume, first elected in 2007. Each of the city's six boroughs has a council composed of 3 to 5 of the aforementioned councillors, depending on the size of its population. It has jurisdiction with matters such as local road maintenance, leisure, waste collection, and small grants for community projects and others, but cannot tax or borrow money. The boroughs are further divided into 35 neighbourhoods, which also have councils devoted to public consultations, each led by 11 citizens. Their geographical limits may be distinct from those of the city's 21 electoral districts, and councillors also sit at their neighbourhood councils as non-voting ex officio members. The city is protected by Service de police de la Ville de Québec and Service de protection contre les incendies de Québec (fire dept.) The census metropolitan area (CMA) of Quebec City has one of the lowest crime rates in Canada, with 3,193 per 100,000 persons in 2017, only behind Toronto's CMA (3,115). Exceptionally, no homicide (defined as a criminal death, deliberate or not) was reported in 2007. Still, eight homicides occurred the following year. On 29 January 2017, a university student shot and killed six people with another 17 injured in a mass shooting at the Quebec Islamic Cultural Centre. Even after accounting for this event, the CMA of Quebec had the second lowest Crime Severity Index in the country in 2017, at 48.5, after that of Barrie (45.3). For the year 2017, the number of reported incidents investigated as hate crimes by the city police increased from 57 to 71, and for those specifically targeting Muslims from 21 to 42. The overall rate of reported hate crimes was thus 7.1 per 100,000 population — higher than the national average (3.9) and in Montreal (4.7) but lower than rates in Hamilton, Ottawa and Thunder Bay. There were seven deliberate, first degree murders in 2017 (all due to the mosque shooting), one in 2016, two in 2015 and three in 2014. The Université Laval (Laval University) is in the southwestern part of the city, in the borough of Sainte-Foy, except for its school of architecture, which is at the "Vieux-Séminaire" building in Old Quebec. The Université du Québec system administrative headquarters and some of its specialized schools (École nationale d'administration publique, Institut national de la recherche scientifique and Télé-université) are in the Saint-Roch neighbourhood. CEGEPs of Quebec city are: Collège François-Xavier-Garneau, Cégep Limoilou, Cégep de Sainte-Foy and Champlain College St. Lawrence, as well as private and specialized post-secondary institutions such as Campus Notre-Dame-de-Foy, Collège Mérici, Collège Bart, Collège CDI, Collège O'Sullivan and Collège Multihexa. Three school boards, including Commission scolaire de la Capitale, operate secular francophone schools, and Central Quebec School Board operates the few existing anglophone ones. Until 1998 Commission des écoles catholiques de Québec operated public Catholic schools of all languages. Quebec City has the oldest educational institution for women in North America, led by the Ursulines of Quebec, which is now a private elementary school. Two bridges (the Quebec Bridge and Pierre Laporte Bridge) and a ferry service connect the city with Lévis and its suburbs along the south shore of the Saint Lawrence River. The Orleans Island Bridge links Quebec City with pastoral Orleans Island. The Pierre-Laporte Quebec Bridges connect the city with neighbouring Lévis. Quebec City is an important hub in the province's autoroute system, as well as boasting one of the highest "expressway lane kilometres per 1000 persons" in the country (1.10 km), behind Calgary (1.74), Hamilton (1.61) and Edmonton (1.24). Autoroute 40 connects the region with Montreal and Ottawa to the west and Sainte-Anne-de-Beaupré and the Charlevoix region to the east. Autoroute 20 parallels the south shore of the St. Lawrence River, linking Quebec City with Montreal and Toronto to the west and Rivière-du-Loup, Rimouski, and the Maritime Provinces to the east. Autoroute 73 provides a north-south link through the metropolitan area, linking it with Saint-Georges, the Beauce region, and Maine to the south and Saguenay and the Lac-Saint-Jean region to the north. Within the metropolitan region, Autoroutes 40, 73, and several spur routes link the city centre with its suburbs. Autoroute 573 (Autoroute Henri-IV) connects the city with CFB Valcartier. Autoroute 740 (Autoroute Robert-Bourassa) serves as a north-south inner belt. Autoroute 440 comprises two separate autoroutes to the west and east of the urban core. Originally meant to be connected by a tunnel under the city centre, the two sections are separated by a 6 km (3.7 mi) gap. There are no current plans to connect them. The western section (Autoroute Charest) connects Autoroutes 40 and 73 with Boulevard Charest (a main east-west avenue) while the eastern section (Autoroute Dufferin-Montmorency) links the city centre with Beauport and Montmorency Falls. RTC's Métrobus is a six lines, higher frequency and capacity bus service. The Réseau de transport de la Capitale (RTC) is responsible for public transport in the region. The RTC operates a fleet of buses and has recently implemented articulated buses. The RTC is studying the return of a tramway system to help ease overcrowding on its busiest lines as well as attract new users to public transit. The two billion dollar revitalization project needs approval from higher levels of government since the city does not have the financial resources to fund such an ambitious project on its own. Rail transport is operated by VIA Rail at the Gare du Palais ('Palace Station'). The station is the eastern terminus of the railway's main Quebec City-Windsor Corridor. An inter-city bus station, with connections to the provincial long-distance bus network, is adjacent to the train station, and hosts, among others, the services of Greyhound Canada and Orleans Express. Quebec City is served by Jean Lesage International Airport (YQB), located at the city's western edge, 11 miles from the city centre. The Port of Quebec is a major port on the St-Lawrence with facilities in the first, fifth and sixth boroughs. It has formal agreements with other cities although they are not active anymore as of 2012. These include Saint Petersburg, Guanajuato City, Huế and Liège and Namur in francophone Belgium. ^ Based on station coordinates provided by Environment Canada, climate data was recorded in the area of Old Quebec from August 1875 to February 1959, and at Jean Lesage International Airport from March 1943 to present. ^ The Algonquin language is a distinct language of the Algonquian language family, and is not a misspelling. ^ Marceau, Stéphane G.; Rémillard, François (2002). Ville de Québec (in French) (4th ed.). Montreal: Guides de voyage Ulysse. p. 14. ISBN 2-89464-510-4. ^ a b Canada, Government of Canada, Statistics. "Population and Dwelling Count Highlight Tables, 2016 Census". ^ "(Code 421) Census Profile". 2011 census. Statistics Canada. 2012. ^ Vallières, Marc. "Québec City". ^ Paré, Pierre (1 August 1985). "La toponymie des Abénaquis" (PDF). Commission de toponymie Québec (in French). Retrieved 31 March 2019. ^ Government of Canada, Natural Resources Canada. "Place names - Québec". www4.rncan.gc.ca. Retrieved 31 March 2019. ^ a b "Québec, Ville [Census subdivision], Quebec and Québec, Territoire équivalent [Census division], Quebec". Census 2016. Statistics Canada. ^ Canada, Government of Canada, Statistics. "Population and Dwelling Count Highlight Tables, 2016 Census". www12.statcan.gc.ca. ^ "Historic District of Old Québec". World Heritage; UNESCO. Retrieved 12 January 2009. ^ "Old Quebec City, Seven Wonders of Canada". cbc.ca. Retrieved 12 February 2008. ^ "Québec, City of Québec, Quebec City". Public Works and Government Services Canada. 2016. Retrieved 29 October 2016. ^ "Names (geographical)". Public Service Commission of Canada. Retrieved 29 October 2016. ^ Government of Canada. "Geographical Names". The Canadian Style. Retrieved 29 October 2016. ^ "CBC.CA - Seven Wonders of Canada - Your Nominations - Old Quebec City, Quebec". www.cbc.ca. Retrieved 31 March 2019. ^ "Fort Charlesbourg Royal National Historic Site of Canada". 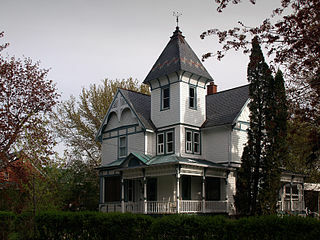 www.historicplaces.ca. Parks Canada. Retrieved 6 October 2018. ^ "View of Quebec, Capital of Canada". World Digital Library. Retrieved 11 February 2013. ^ Morison, Samuel Eliot (1972). The Oxford history of the American people. New York: Mentor. p. 150. ISBN 0-451-62600-1. OCLC 7384608. ^ "George R, Proclamation, 7 October 1763 (Royal Proclamation)". PrimaryDocuments.ca. 7 October 1763. Retrieved 31 March 2019. ^ Cartier, Gwenaël (2009). "Québec 1608-2008 : 400 ans de statistiques démographiques tirées des recensements". Cahiers québécois de démographie (in French): 143. ^ "Ville de Québec - Québec City, Fortress and Port (1756–1867)". Ville de Quebéc. Retrieved 31 March 2019. ^ "Canadian Military Heritage Volume 2 (1755-1871). Canadian Militia Unpopular with Francophones". Canadian Military History Gateway. Department of National Defence. Retrieved 6 October 2018. ^ Geological Survey of Canada (1999). The 1988 Saguenay Earthquake - a Site Visit Report. p. 63. ^ Stelter, Gilbert (1982). Shaping the Urban Landscape: Aspects of the Canadian City-Building Process. McGill Queen University Press. ISBN 9780773584860. ^ "Québec Portal > Portrait of Québec > Administrative Regions > Regions". Retrieved 13 May 2009. ^ "An Act respecting the National capital commission, R.S.Q. c. C-33.1". CanLII. 4 May 2009. Retrieved 13 May 2009. ^ "Daily Data Report for July 1953". Canadian Climate Data. Environment Canada. Retrieved 8 July 2016. ^ "Daily Data Report for January 1890". Canadian Climate Data. Environment Canada. Retrieved 8 July 2016. ^ "Daily Data Report for January 2015". Canadian Climate Data. Environment Canada. Retrieved 8 July 2016. ^ "Quebec/Jean Lesage INT'L A, Quebec". Canadian Climate Normals 1981−2010. Environment Canada. Retrieved 8 May 2014. ^ "QUEBEC/JEAN LESAGE INTL A". Environment Canada. Retrieved 29 July 2015. ^ "QUEBEC/JEAN LESAGE INTL". Canadian Climate Data. Environment Canada. Retrieved 28 March 2016. ^ "Quebec". Canadian Climate Data. Environment Canada. Retrieved 28 March 2016. ^ Hubbard, R.H. (1977). Rideau Hall. McGill-Queen's University Press. p. 49. ISBN 978-0-7735-0310-6. ^ The 37 sites in Quebec City are listed in the Directory of Federal Heritage Designations as being located in Québec and the following boroughs/enclaves: Beauport, Cap-Rouge, Notre-Dame-des-Anges, Sainte-Foy and Wendake. ^ "Ville de Québec - Parks and Gardens". www.ville.quebec.qc.ca. Archived from the original on 14 November 2016. Retrieved 14 November 2016. ^ "Le Parc Chauveau: la nature à ma portée!" (pdf) (in French). Ville de Québec. ^ Hogdson, Larry (8 September 2018). "Québec, toujours un désert botanique?". Le Soleil (in French). Retrieved 6 October 2018. ^ Québec, Office du tourisme de. "Promenade Samuel-De Champlain". 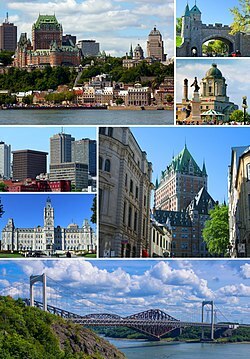 Official Web Site - Québec City Tourism. Retrieved 6 October 2018. ^ a b "Où sera le centre-ville de Québec dans le futur?". Radio-Canada.ca (in French). 7 October 2018. Retrieved 9 October 2018. ^ "Évolution démographique des 10 principales villes du Québec (sur la base de 2116) selon leur limites territoriales actuelles1, Recensements du Canada de 1871 à 2011". Stat.gouv.qc.ca. Archived from the original on 6 October 2013. Retrieved 2 January 2012. ^ Morrin Centre. "Anglos in Québec". Literary and Historical Society of Quebec. Archived from the original on 12 February 2012. Retrieved 15 March 2007. ^ Blair, Louisa. The Anglos: The Hidden Face of Quebec City. Volume 1: 1608-1850; Volume 2: Since 1850. Québec: Commission de la capitale nationale du Québec & Éditions Sylvain Harvey, 2005. ^ "Voice of English-speaking Québec: A Portrait of the English-speaking Community in Quebec". Voice of English-speaking Québec. 2007. Archived from the original on 29 September 2007. Retrieved 15 March 2007. ^ Canada, Government of Canada, Statistics. "Statistics Canada: 2006 Community Profiles". ^ Statistics Canada: 1996, 2001, 2006, 2011, 2016 census. ^ "Canada's largest employers by city, 2007: Quebec City". University of Western Ontario. Archived from the original on 18 April 2010. ^ "Here's a quick glance at unemployment rates for June, by Canadian city". Financial Post. 6 July 2018. Retrieved 9 October 2018. ^ "Québec City: Economy, transportation, and labour force." The Canadian Encyclopedia. Historical Foundation of Canada, 2008. Retrieved 12 January 2009. ^ "History of Major Special Olympics Canada (SOC) Events" (PDF). Special Olympics Canada. 29 January 2007. Archived from the original (PDF) on 6 July 2011. Retrieved 14 July 2011. ^ "Here comes the 4th Tour de Quebec!". tourdequebec.com. Retrieved 14 July 2011. ^ Karine Gagnon, Qmi Agency (1 March 2011). "Quebecor joins arena plan, eyes NHL team | Hockey | Sports". Toronto Sun. Retrieved 2 January 2012. ^ McParland, Kelly (2 March 2011). "The Quebec gravy train chugs off without Ottawa on board for once". Full Comment. National Post. Archived from the original on 11 March 2011. ^ "Quebec City plans $400 million arena to attract NHL team, Winter Olympics — ESPN". Sports.espn.go.com. 16 October 2009. Retrieved 2 January 2012. ^ a b Duval, Alexandre. "Politique : un chercheur perce une partie du « mystère Québec »". Radio-Canada.ca (in French). Retrieved 8 October 2018. ^ Daoust, Jean-François (15 August 2017). "Le mystère de Québec: les moins bien nantis rejettent la gauche". Le Devoir (in French). Retrieved 8 October 2018. ^ Himelfarb, Jordan (10 October 2018). "The Bloc's Quebec City fortress". The Globe and Mail. Retrieved 8 October 2018. ^ Peritz, Ingrid (31 August 2012). "Seeking clues to Quebec City's ballot box mystery". The Globe and Mail. Retrieved 8 October 2018. ^ Castonguay, Alec. "Le faux mystère de Québec". L’actualité (in French). Retrieved 8 October 2018. ^ Bilefsky, Dan (18 August 2018). "Quebec's 'Trash Radio' Host Fires Up Outrage, and Big Ratings". The New York Times. Retrieved 8 October 2018. ^ Lachance, Nicolas (20 December 2015). "Il perce (enfin) le mystère Québec". Le Journal de Québec (in French). Retrieved 8 October 2018. ^ Séguin, Rheal (2 May 2011). "Quebec City gives NDP control over the region". The Globe and Mail. Retrieved 8 October 2018. ^ "Conseils d'arrondissement". Ville de Quebec. Archived from the original on 6 October 2014. ^ "Conseils de quartier". Ville de Quebec. Archived from the original on 8 March 2017. ^ "2017 Police-reported Crime Severity Index and crime rate, by census metropolitan area". Statistics Canada. Retrieved 9 October 2018. ^ White, Marianne (28 December 2007). "Quebec City closing in on a year without murder". Nationalpost.com. Retrieved 14 July 2011. ^ Neron, Jean-François (2010). "Bas taux d'homicide: fiche impressionnante pour Québec" (in French). Le Soleil. ^ "Suspect in Quebec mosque terror attack was of Moroccan origin, reports show". Fox News. 30 January 2017. Retrieved 30 January 2017. ^ "Police-reported crime statistics in Canada, 2017". Statistics Canada. Retrieved 9 October 2018. ^ "Hate crimes targeting Muslims doubled in 2017, says Quebec City police chief". CBC News. Retrieved 3 September 2018. ^ "Reported hate crimes jumped in Quebec City in year prior to mosque shooting". CBC News. 29 November 2018. Retrieved 3 September 2018. ^ "Rapport annuel 2017" (PDF). Service de Police de la Ville de Québec (in French). p. 12. Retrieved 8 December 2018. ^ "Rapport annuel 2016" (PDF). Service de Police de la Ville de Québec (in French). p. 20. Retrieved 8 December 2018. ^ "Projet de prolongement de l'axe du Vallon" (PDF). BAPE (in French). 2004. p. 2. ^ "Port of Quebec". Archived from the original on 12 February 2012. Retrieved 24 June 2009. ^ "Québec fait le ménage dans ses jumelages". Le Soleil (in French). 7 September 2012. Sainte-Foy is a former city in central Quebec, Canada alongside the Saint Lawrence River. It was amalgamated into Quebec City, on 1 January 2002. Most of the formerly independent municipality of Sainte-Foy is located in the borough of Sainte-Foy–Sillery–Cap-Rouge — initially as one of the two constituent districts of the former borough of Sainte-Foy–Sillery. 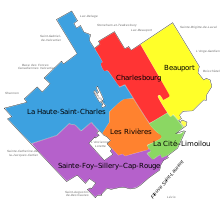 On 1 November 2009, Sainte-Foy was subdivided into four separate districts: Cité-Universitaire, Plateau, Saint-Louis, Pointe-de-Sainte-Foy, when the borough of Sainte-Foy—Sillery—Cap-Rouge was formed. Cap-Rouge is a former city in central Quebec, Canada, since 2002 within the borough Sainte-Foy–Sillery–Cap-Rouge in Quebec City. The site of the first attempted permanent French settlement in North America, Charlesbourg-Royal, is located at the confluence of the Rivière du Cap Rouge and the Saint Lawrence River. Its population was 13,153 as of the Canada 2011 Census. Quebec City is divided into six arrondissements or boroughs. These boroughs are the result of several waves of amalgamation and reorganization of the political boundaries of Quebec City. Autoroute 40, officially known as Autoroute Félix-Leclerc outside Montreal and Metropolitan Autoroute/Autoroute Métropolitaine within Montreal, is a freeway on the north shore of the St. Lawrence River in the Canadian province of Quebec. It is one of the two major connections between Montreal and Quebec City, the other being Autoroute 20 on the south shore of the St. Lawrence. Autoroute 40 is currently 347 km (215.6 mi) long. Between the Ontario–Quebec boundary and the interchange with Autoroute 25, the route is signed as part of the Trans-Canada Highway. 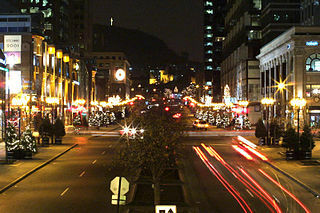 Ville-Marie is the name of a borough (arrondissement) in the centre of the city of Montreal, Quebec. The borough is named after Fort Ville-Marie, the French settlement that would later become Montreal, which was located within the present-day borough. Old Montreal is a National Historic Site of Canada. The Réseau de transport de la Capitale (RTC), brand name for Société de transport de Québec, provides urban public transit services in the Québec City area. It was founded in 2001, continuing the operations of the former Société de transport de la communauté urbaine de Québec, as the latter was merged into the new city of Québec. This is a list of colleges in Canada. Colleges are distinct from universities in Canada as they are typically not degree-granting institutions, though some may be enabled by provincial legislation to grant degrees using joint programs with universities or by permission of the provincial Minister of Education. The Service de police de la Ville de Québec is the police force of Quebec City, Quebec. 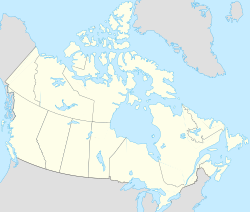 The Communauté métropolitaine de Québec (CMQ), or Quebec Metropolitan Community, is an administrative division of the province of Quebec, comprising the metropolitan area of Quebec City. The CMQ is one of the two metropolitan communities of Quebec. Autoroute 740 is a Quebec Autoroute in metropolitan Quebec City, Canada. A spur route of Autoroute 40, the A-740 runs for 7.3 km (4.5 mi) on a north-south axis (parallel to the St. Lawrence River through the boroughs of Sainte-Foy–Sillery–Cap-Rouge and Les Rivières, with interchanges at the A-440 at exit 4 and the A-40 at exit 9. Route 136 is a provincial highway located in the Capitale-Nationale region of Quebec. The highway runs from Autoroute 440 to Autoroute 73 near the Pierre Laporte and Quebec bridges in Quebec City. A short route, most of Route 136 is a parkway along the Saint Lawrence River connecting the Basse-Ville of Old Quebec to the bridges. The eastern section follows city streets in that community. Marieville is a city in the Canadian province of Quebec. It is located within the Rouville Regional County Municipality in the Montérégie region about 30 kilometers east of Montreal. The population as of the Canada 2011 Census was 10,094. 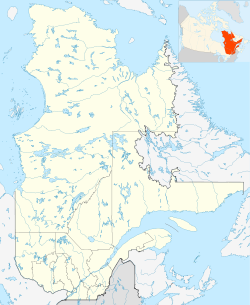 Portneuf is a municipality in the Portneuf Regional County Municipality, in the province of Quebec, Canada. It is located on the Saint Lawrence River, between Quebec City and Trois-Rivières. The Portneuf River runs on the east side of the town centre. La Cité-Limoilou is the central borough of Quebec City, the oldest, and the most populous, comprising 21.85% of the city's total population. As an administrative division, it is very new, having only been formed on November 1, 2009, from the former boroughs of La Cité and Limoilou; now La Cité-Limoilou. Vieux-Québec–Cap-Blanc–Colline Parlementaire is one of the 35 districts of the City of Quebec, and one of six that are located in the borough of La Cité-Limoilou. The district is the most visited and toured location in the city. It is in this partly fortified area where a building that symbolizes Canada to the world, the Château Frontenac, is found, with its large terrace overlooking the city of Lévis, across the Saint Lawrence River. A large concentration of cafes, tourist shops, restaurants, hotels and inns are situated in the district. In its most recent census count in 2016, Statistics Canada reported that the district had a population of 5,770 residents, whom comprise 1.1% of the city's total population. The Sillery Heritage Site, formerly known as the Sillery Historic District, is a territory containing historic residential and institutional properties, as well as woodlands, located in the Sainte-Foy–Sillery–Cap-Rouge borough of Quebec City, Canada. It is one of four heritage sites which are located in the City of Quebec. Having been called the "cradle of the Quebec nation," it includes approximately 350 buildings situated on a linear 3.5 kilometres wide landscape, which is alongside, as well as an integral part of the coast of the Saint Lawrence River. The built environment was constructed in all of the time periods, including and following the foundation of New France.